Happy National Poetry Month! Get out there! Thanks to all who came and made P&A on March 25 at SDAI a great show! Special thanks to Perry Vasquez, Sunny Rey, Maxx Moses, Jimmy Jazz, Gill Sotu, Jennifer at the bar, and Kevin, Valorie and Daniella. Congrats to Chrissy Croft, Leon Chaffee and Valorie Ruiz for winning People’s Choice Poem Performance Awards. 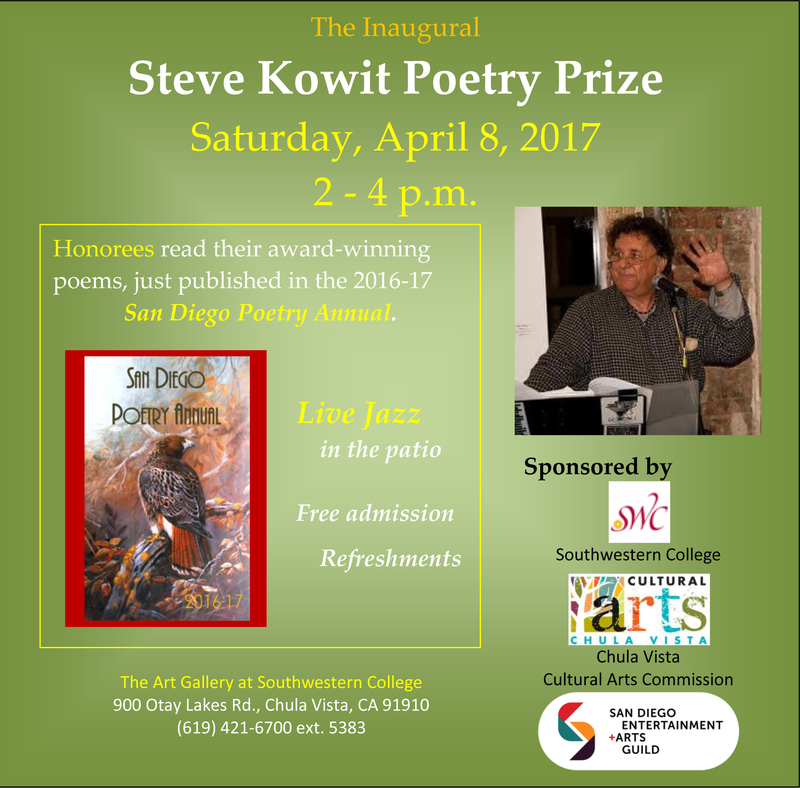 Next Poetry & Art at SDAI is Friday, June 23 and features Garden Oak Press and the San Diego Poetry Annual 2017 with People’s Choice. More details to come. Check out Page to Canvas to Stage kids’ installation and paintings. Great job Room 17 at Garfield Elementary! April 14 and 15 — Get Rich Slow Scheme. Don’t miss these two epic shows! Jazz and Klam in Old Town and at Vermin on the Mount. For more information check out Jimmy Jazz’s Facebook page. 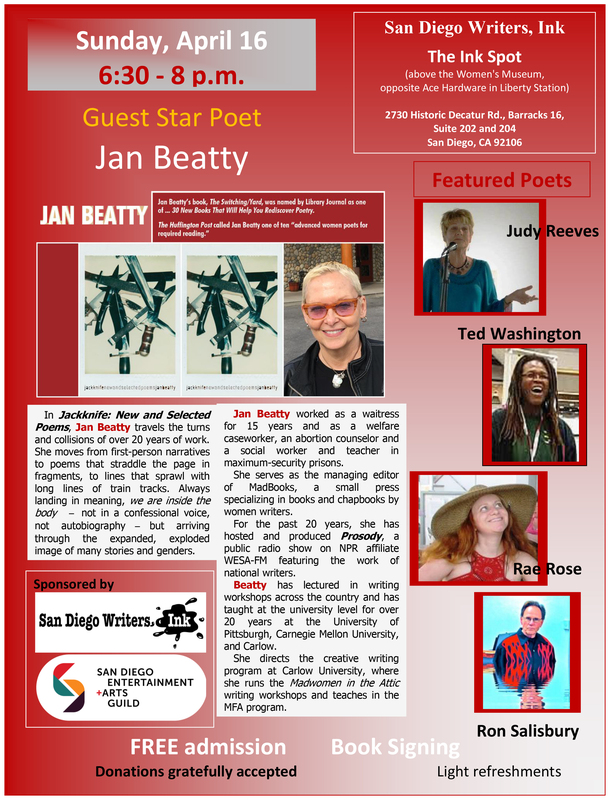 April 16 — Jan Beatty and SD greats Judy Reeves, Ted Washington, Rae Rose and Ron Salisbury!